A poignant silence was observed by ship passengers last week at the very place in the Irish Sea where 20 people were lost. 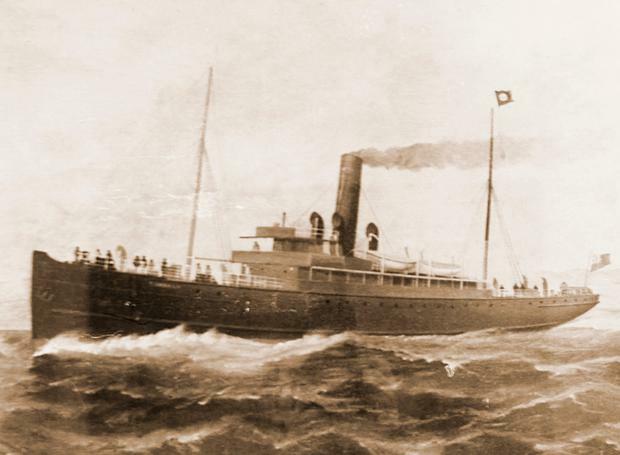 Twenty-five people had booked their passage for the voyage last Tuesday to pay tribute to the 20 who died in the sinking of SS Dundalk on the night of October 14, 1918. One woman and 19 men died when the ship was torpedoed by a German submarine. Seventeen of the victims were from Dundalk. Last Tuesday, relatives of the victims and their supporters stood on the deck of Manannan, an Isle of Man Steam Packet Company ship, for a ceremony of remembrance. Captain Sean Rooney had diverted the vessel from its route between Dublin and Douglas to visit the spot where they died. Wearing his full uniform, the captain led the group in prayer and the names of the dead were read out. A minute's silence then followed. The sea was completely calm. Flowers from relatives, some from their own family gardens, were cast on the waters. Handwritten messages, to all those lost and who lay in the wreck 60 metres below the surface, were dropped into the sea. Among those at the ceremony were Aoibheann Byrne and her daughter Caitlyn. Aoibheann's great grand-aunt, Margaret Creegan, was a stewardess on the SS Dundalk who drowned in the attack. The captain of SS Dundalk, Hugh O'Neill, lost his life. His grand-daughter Ann Howard stood in silent prayer on the deck last Tuesday. 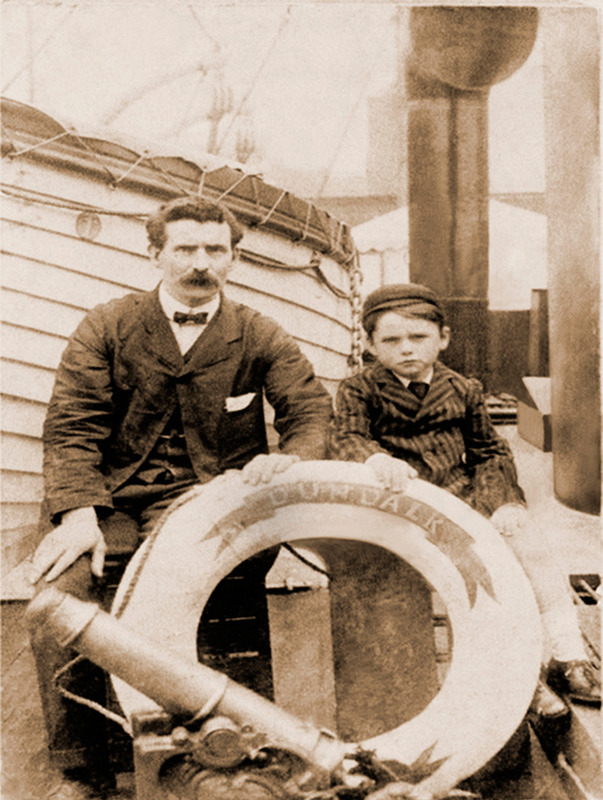 The sinking of SS Dundalk was a personal tragedy for countless families and friends in the Co Louth town. The ship plied a regular route with passengers and freight between Dundalk and Liverpool. Later this year, the centenary of the sinking will be commemorated. Also on board was author Philip Lecane, who has written extensively about the sinking of RMS Leinster by a German submarine, with the loss of more than 550 lives, just days before the attack on SS Dundalk. Later that day, he led a ceremony at the graves of some of the RMS Leinster victims, whose bodies were washed up on the Isle of Man coastline. A major centenary will also take place for RMS Leinster in October.